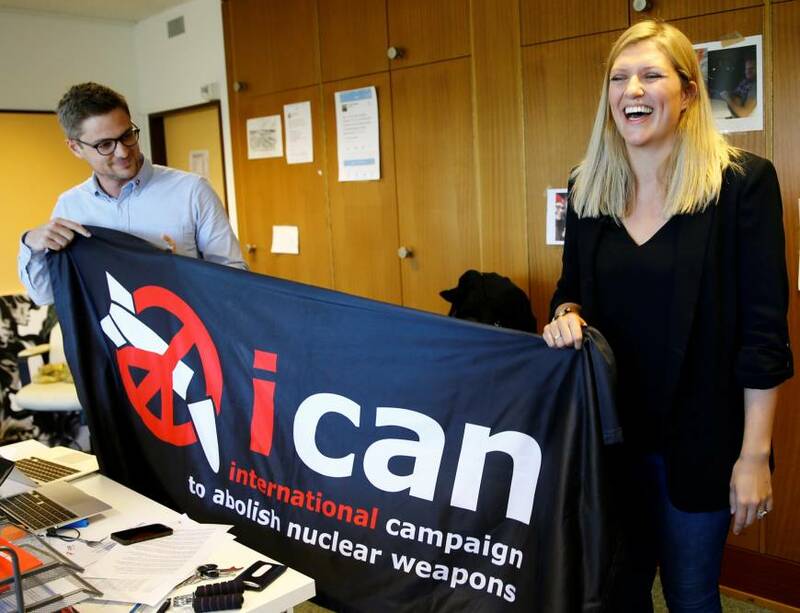 GENEVA - This year’s Nobel Peace Prize is not only for the International Campaign to Abolish Nuclear Weapons but also for the hibakusha — the survivors of the 1945 atomic bombings of Hiroshima and Nagasaki — ICAN chief Beatrice Fihn said. “This is their prize as well,” the ICAN executive director said Friday. “Hibakusha have been part of this campaign from the beginning and they are the ones who brought the humanitarian consequences message already in 1945. “I really hope that they take this award — I mean some of them are members of ICAN — but all of them take this award as an award to them as well,” she said. Awarding the peace prize Friday, the Norwegian Nobel Committee warned the world about the growing risks of nuclear weapons amid escalating threats from North Korea. The award to the Geneva-based nongovernmental organization follows the adoption in July of a landmark U.N. treaty outlawing nuclear weapons. ICAN led efforts in campaigning for the treaty, working with hibakusha. Fihn said the award could prompt Japan to sign the treaty, which she hopes will be a major issue in the upcoming Lower House election. Furthermore, she lauded Hiroshima hibakusha Setsuko Thurlow for having been “a great spokesperson” who contributed to the cause of ICAN in recent years. “She shared her stories so many times. 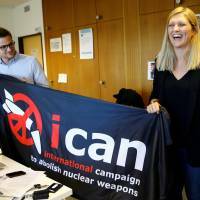 She is one of the bravest people I know, who travels around the world and continues to work for this,” Fihn said of the 85-year-old Canada-based nuclear nonproliferation advocate.